Many athletes ride a roller coaster with their confidence, rising and falling with each play, shift, or period. If you have fragile confidence, you can easily ride the mental roller coaster. High expectations, perfectionism, doubt, fear of failure or a few bad games can cause your confidence to be more fragile. 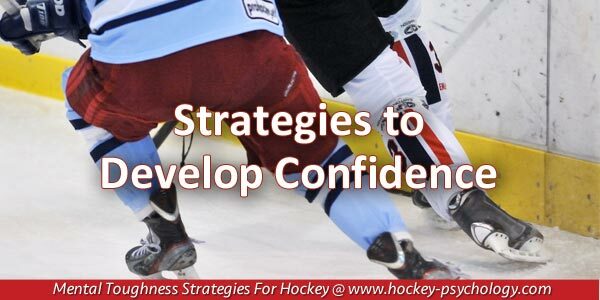 As confidence erodes, a vicious cycle emerges… Low confidence will detract from your play on the ice, then that bad game will further decrease your confidence level. 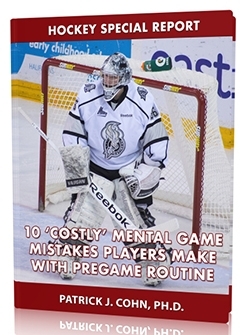 Soon, you will feel deeply trapped in a performance slump, frustrated and questioning if you are cut out for competitive hockey. 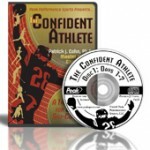 The truth is that champion athletes have a stable level of confidence. Bad games are seen just as that… A bad game, an anomaly, not a sign of a lack of ability. 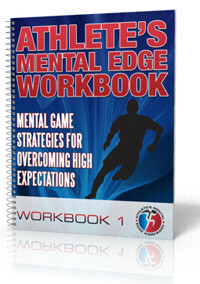 If you are not proactive with your confidence daily, you’re neglecting an important part of the mental game. Connolly’s stellar junior career placed him as one of the top NHL prospects in the world. Connolly was highly confident heading into the 2010 NHL Entry Draft where he was selected sixth overall by the Tampa Bay Lightning. Unfortunately, Connolly didn’t live up to his blue chip status and found it difficult to produce like he did in juniors and the minors. Eventually, the Capitals gave up on Connolly and traded him to the the Boston Bruins in 2014. As if the trade wasn’t enough, after one full season with the Bruins, Boston decided not to extend a qualifying offer to Connolly last summer. Connolly, practically devoid of confidence, set out to start anew and signed a free agent contract with the Washington Capitals. Current teammate and former first round draft pick, Tom Wilson, understands how the pressure of being a blue chip prospect can mess with a player’s confidence. Connolly has resurrected his career and is on the verge of tying his career high in goals and on pace to shatter his career high in points. Connolly credits confidence as the key to his improved performance. Connolly concedes the pressure got to him as a young highly-touted player but confidence requires a “stick-to-it” attitude and mental ear muffs to quiet criticism from non-relevant sources. Tip #1: Focus on your strengths – Think about the things you do well, your successes, your strengths and abilities. 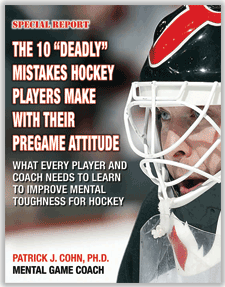 Focusing on the positive will help deflect those occasional bad games and mistakes on the ice. Tip #2: Turn the channel – Instead of tuning into the negativity of what others say about you, stay in tune to what you need to do each day to be best prepared to play your best hockey.